The United States Sanitary Commission was founded in 1861 as the American Civil War began. Its purpose was to promote clean and healthy conditions in the Union Army camps. The Sanitary Commission staffed field hospitals, raised money, provided supplies, and worked to educate the military and government on matters of health and sanitation. The beginning of the Sanitary Commission is rooted in a meeting at the New York Infirmary for women, with more than 50 women, addressed by Henry Bellows, a Unitarian minister. That meeting led to another at Cooper Institute, and the beginnings of what was first called the Woman's Central Association of Relief. The Western Sanitary Commission, founded in St. Louis, was also active, though it was not related to the national organization. Many women volunteered for work with the Sanitary Commission. Some provided direct service at the field hospitals and camps, organizing medical services, acting as nurses, and performing other tasks. Others raised money and managed the organization. The Sanitary Commission also provided food, lodging, and care for soldiers returning from service. After the end of fighting, the Sanitary Commission worked with veterans in obtaining promised pay, benefits, and pensions. 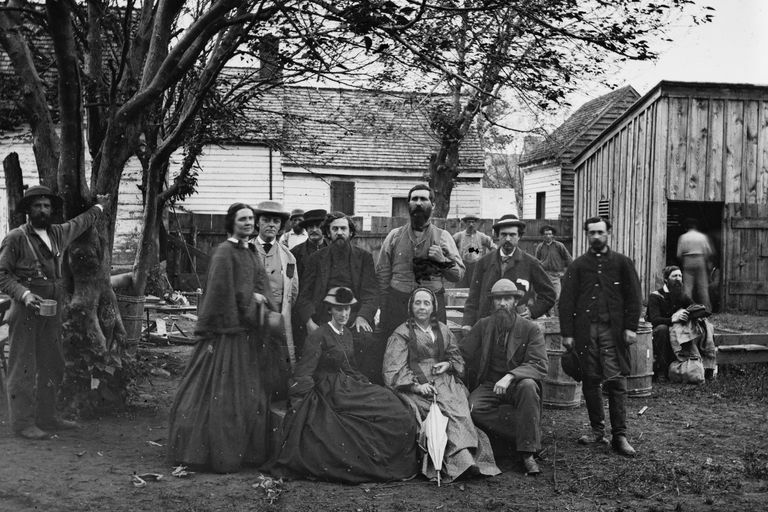 After the Civil War, many of the women volunteers found work in jobs often previously closed to women, on the basis of their Sanitary Commission experience. Some, expecting more opportunities for women and not finding them, became activists for women's rights. Many returned to their families and to traditional female roles as wives and mothers. During its existence, the Sanitary Commission raised about $5 million in money and $15 million in donated supplies. The United States Christian Commission also provided nursing care for the Union, with the objective of improving the moral condition of soldiers, incidentally providing nursing care. The USCC passed out many religious tracts and books and Bibles; provided food, coffee, and even liquor to soldiers in the camps; and also provided writing materials and postage stamps, encouraging soldiers to send their pay home. The USCC is estimated to have raised about $6.25 million in money and supplies. While women of the South often sent supplies to help the Confederate troops, including medical supplies, and while there were nursing efforts in the camps, there was no organization in the South of any similar effort comparable in objective and size to the US Sanitary Commission. The difference in death rates in the camps and the ultimate success of the military efforts was certainly influenced by the presence in the North, and not in the South, of an organized Sanitary Commission. The Sanitary Commission was created in the spring of 1861 by private citizens, including Henry Whitney Bellows and Dorothea Dix. The Sanitary Commission was officially sanctioned by the War Department on June 9, 1861. Legislation creating the United States Sanitary Commission was signed (reluctantly) by President Abraham Lincoln on June 18, 1861. The Sanitary Commission was disbanded in May of 1866. Garrison, Nancy Scripture. With Courage and Delicacy. Savas Publishing Company: Mason City, Iowa, 1999.